FORT LAUDERDALE, USA — As the records keeper for over 20 years of the world’s largest private billfish tagging database covering the expanse of three oceans, The Billfish Foundation has introduced a new express, online data entry system to easily input tagging and/or release information from anywhere in the world. “We believe it will especially be popular in Caribbean, Gulf and western Atlantic waters by sportfishermen,” said Peter Chaibongsai TBF’s Dir. of Science and Policy. “It’s TROD, the acronym for Tag and Release Online Database. With today’s internet access it’s fast, easy and accurate allowing the user to easily enter tagging and release data from across the globe. Annually thousands of volunteer fishing teams on the Atlantic, Pacific and Indian Oceans take part in TBF’s Tag and Release Program Their traditional tagging information reveals details such as migration patterns, age and growth rates, all adding to a knowledge base that advances billfish science and, in turn, billfish management policies. “Documenting billfish also illustrates the socio-economic importance of recreational fishing to policy makers in numerous countries that contact us,” said Chaibongsai. 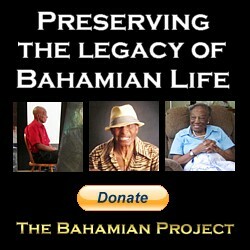 Registration is easy and free at www.billfishtag.org. Instructions on how to enter data is provided as well as troubleshooting tips. 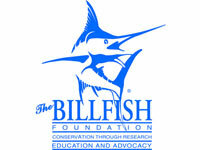 Celebrating its 25th anniversary, The Billfish Foundation works worldwide to advance the conservation of billfish and associated species and to improve the health of oceans and dependent economies.